NDEO and CLI Studios are thanking dance teachers around the world! This year, CLI Studios is collaborating with NDEO on “Thank A Dance Teacher Day” because being thankful for amazing teachers is a topic we can all agree on. Together, we are asking all dancers to say thank you to a teacher who impacted their lives. Continue reading to learn more about how you can participate in this year’s #ThankADanceTeacherDay! Participate in this year’s #ThankADanceTeacherDay by posting a message of gratitude on Instagram, Facebook, or Twitter. Use the hashtag above, spread the word, tell your stories, and of course, share it with your dance teacher. If posting on social media is not your thing, don’t worry! 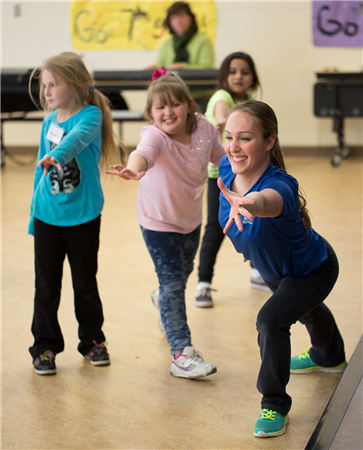 You can still participate in #ThankADanceTeacherDay by donating to NDEO in the name of your dance teacher. Just click here. Become a Member of the National Dance Education Organization! Join the CLI Studios Partnership Program! When you join the CLI Studios Partnership Program, your faculty will have access to 24/7 inspiration and dancing best practices. We upload new continuing education classes for teachers every week - with innovative ideas for choreography, comprehensive courses, and teacher training tips that you can use in your studio. Plus, our Studio Partners get access to our exclusive online masterclass and choreography program - letting your studio book classes with 100+ of the industry's top choreographers! Click the learn more button, fill out the form, and one of our team members will be in touch with an exciting offer! Learn more about CLI Studios and NDEO! Thank you! Someone from the CLI Studios team will contact you shortly to share more about our partnership with NDEO. CLI Studios and NDEO would like to thank every dance teacher for their fearless leadership, their commitment to the performing arts, and their passion for investing in the next generation of dancers.